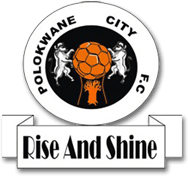 This Absa Premiership league match sees Orlando Pirates and Polokwane City go head-to-head on the 11th of May 2019 at the Orlando Stadium in Soweto. Strict traffic-control measures will be in operation. Help avoid traffic congestion – travel early to the stadium. If parking in the precinct, please ensure that you have obtained your pre-paid stadium parking ticket from Computicket. Arrive early to avoid missing the start of the event. Please respect the rights of other fans who have paid more for their ticket by ensuring that you only sit in your allocated seat during the event. No alcohol consumption will be allowed in the parking area. Fans are encouraged to make their way into the stadium when they arrive. Under no circumstances will intoxicated persons be allowed access into the stadium. Stadium has a strict No Smoking Policy and urges patrons to adhere to these smoke-free restrictions within the Stadium. Should you need immediate assistance, please notify the nearest event staff member or security personnel. Guests are encouraged to report issues and concerns to a nearby event staff member. How do I know which entrance to use? Fans are urged to familiarise themselves with ticketing information pertaining to Stadium Entry and to arrive at the stadium early. The Venue Operations Centre (VOC) and SMSA Receptionon at 0861 STADIUM. Patrons are encouraged to report any issues or concerns to a nearby staff member, who will be on hand to assist including those with disabilities with serious emergencies. Emergency numbers, event details and evacuation procedures will be relayed via the PA system, on big screens and on the Stadium’s scoreboards. What may I bring into the stadium? 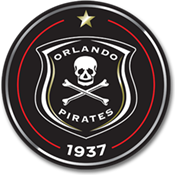 Fans are advised not to bring any food, alcohol, drinks, umbrellas, cameras, recording devices, iPads or tablets to Orlando Stadium as these items are not permitted past the turnstiles. Orlando Stadium has a strict No Smoking Policy and urges fans to adhere to such restrictions because failure to do so will result in fines being issued. Unfortunately not. Braais and fires for braais in the parking areas are strictly prohibited. The consumption of alcohol is not permitted in the parking areas and minors are cautioned against attempting to purchase alcohol, as there will be no alcohol sales to minors. Trained staff will be monitoring beverage points and checking identity documents. How can I provide feedback to Stadium Management South Africa? Written feedback can be sent to enquiries@stadiummanagement.co.za, or to speak to someone, call 0861 STADIUM.